States of Emergency have been now been declared in North and South Carolina, Georgia, Virginia, Maryland and the District of Columbia in anticipation of Hurricane Florence. 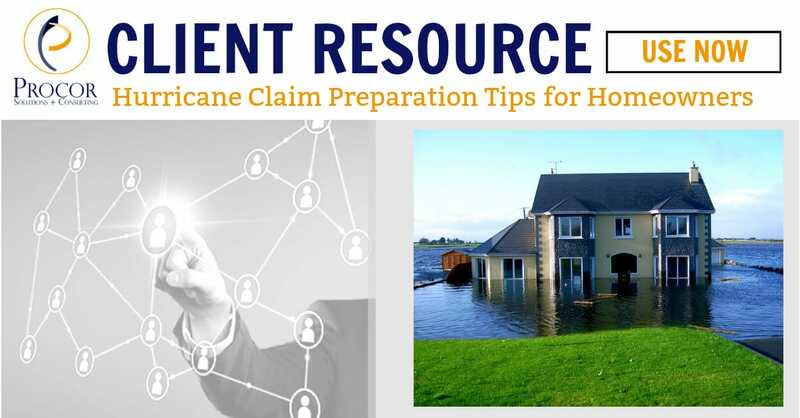 Joseph Mascali, Vice President of Risk Management Services at Procor, has prepared the below list of tips for homeowners to better prepare themselves for handling their homeowner insurance claims and FEMA claims. 1. Do your best to mitigate your loss before the hurricane makes landfall. Prior to the hurricane making landfall it is always best to prepare your home for the worst. There is nothing worse than being unprepared or under estimating a hurricane. Inspect your home and determine if there are any vulnerable points. Potential impact areas can be windows, doors, basement entry ways, etc. Do your best to board up/further secure these vulnerable points. Make sure any costs you incur for mitigation efforts you document and save if you have a loss. These costs are often reimbursable by the Insurance companies and FEMA. 2. Take ample photographs and videos to memorialize ALL damage (however small). It’s extremely important to document your damage immediately following the event. Any evidence that can be acquired will help in facilitating both your homeowner’s insurance claim and FEMA claim (pursuant to eligibility determinations). 3. After the hurricane passes FILE A CLAIM AND REGISTER! No matter how minimal damage you may have sustained, it is always important to file a claim and register with FEMA. Immediately following a catastrophe the volume of claims reported are exorbitant, therefore the earlier you file and register that higher you are up in the cue. Once a claim has been filed with your insurance company and you have registered with FEMA be sure to set daily reminders to follow up! The more persistent you are the better the response time will be. Now that you have taken the steps to mitigate your loss to the best of your ability, you have documented and memorialized all of your damages and you have filed a claim with your insurance company and registered with FEMA, it is time to prepare for the adjuster visit. (Note, both your insurance company and FEMA will be sending out adjusters to review your property and damage.) Gather all of the documentation and organize all the information you have gathered to date (i.e. photos, videos, receipts, quotes, etc.) and show this to the adjuster at the beginning of the meeting. 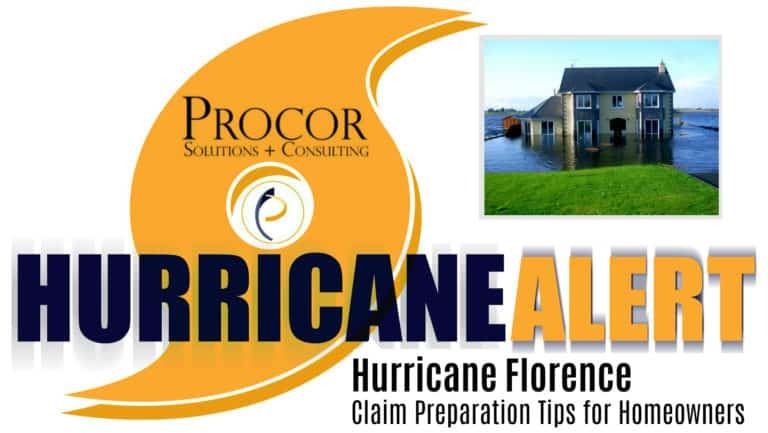 Also, be sure to get the adjusters contact information immediately, for additional follow ups and correspondences (during a disaster it is sometimes the small things that are skipped over that lead to delays in claims handling). During the walk through be sure to point out all damages and take notes of any agreements or comments made by the adjuster. When the site-visit is finished, it is always best to follow up with an email summarizing the discussion and any next step action items.